Tibetan Spirit has a great collection. 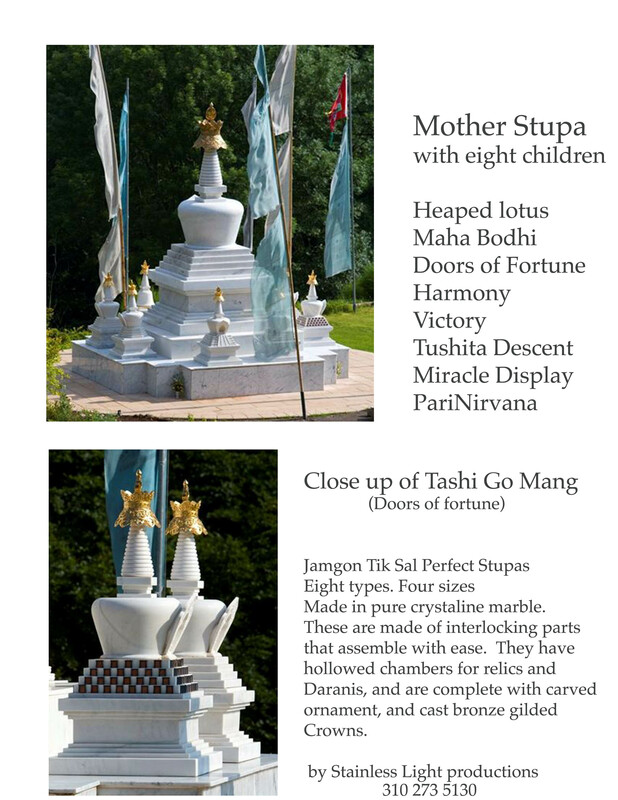 Look at the site map to find them - last time I looked (Nov 2007) they were under "Ritual Items"
Please let me know of any links to other stupas, and if any links you find here are out of date. If you are connected with a centre that has a stupa, but no web site, please send any details you would like included.